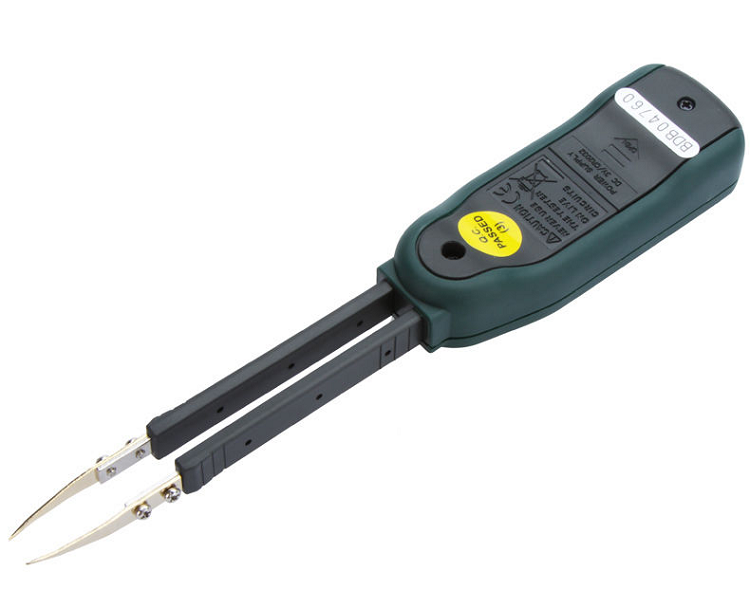 Small size and light weight, handheld and portable test tool. Used to measure SMD, such as Chip resistor, Chip capacitor and Chip diode devices. Auto scanning, it identifies resistor, capacitor and diode automatically. Continuity testing. When the resistance is less than 30 ohm, it will sound. It also can be operated manually. You can press the button “FUNC” to select one certain measuring mode. Has the function of data hold. Long press the “FUNC” key to turn on/ off this tester. Automatic power off after it is idle for about 10 minutes. And on this occasion, it can be recovered to use by pressing any key. Gold-plated test pins, which can induce its contact resistance and prevent it from rusting. 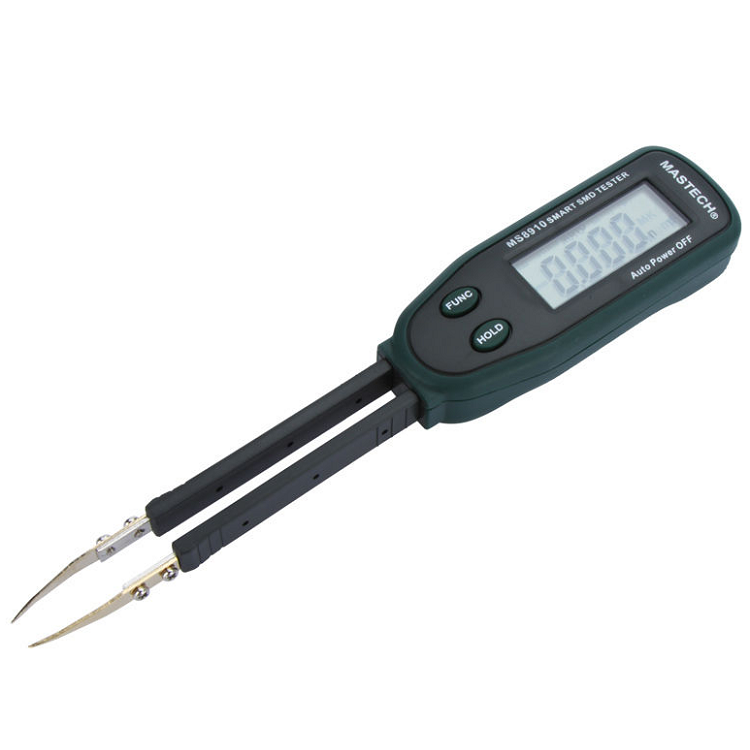 Manual measuring range: 300.0 OHMto 30.00M OHM.